Are You Looking For a Reliable Towing Service? The US Federal Highway Administration is fully committed on the construction, preservation and improvement of the nation’s bridges, tunnels and highways. This is evident on the projects and amounts of money that it has been utilizing for road safety. While this has significantly improved road and travel conditions for motorists, it can never totally eliminate the possibility of roadside emergencies. This is the reason why towing services will always be needed out there. Roadside emergencies are not limited to crashes or collisions. A driver may call a towing company because his or her engine died. It could also be about a tire blowout and there is a need for a new tire to be delivered on-site. It is also possible that the vehicle needs to be brought to the nearest service center or garage. Whatever the case may be, it matters to know which towing company to call. Many drivers choose our towing company in advance and they know the benefits of doing so. 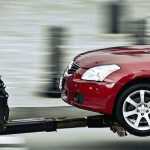 This enables them to choose a towing service company well. In the process of selection, one of the main things that drivers must look into is the service capability of the company. One of these is the kind of vehicles we tow. Since a large majority of road users in the United States use light vehicles, this is where the services of towing companies should really focus. It is a good thing to find a towing company with the latest equipment and skilled manpower to provide services to all types of lightweight vehicles. The National Highway Traffic Safety Administration (NHTSA) has already provided a guide on how to classify vehicles into the lightweight category. Good towing companies are supposed to know about this and they should adjust their equipment accordingly. The curb weight range of 1,500 to 8,400 pounds covers most of the vehicles that are seen on US highways. These include passenger cars (mini, light, compact, and medium), SUVs, and small pickups. 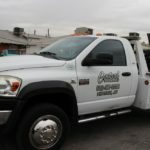 When it comes to lightweight towing services, one of the best in the industry is Central Towing. We are experienced in providing a wide range of services related to roadside emergencies. Our tow trucks are capable of handling all types of lightweight vehicles. We are known for our excellent customer services. Because we have been operating for many years within the Maricopa County, AZ, we know where to find the best garages and service centers. Central Towing can also provide true emergency services like jump-starting, wreck towing and lockout assistance. Our medium duty services are also guaranteed to match needs of clients. This means that we will make sure that towed vehicles are taken care of properly and there is no need to spend extra on good customer services. Getting those lightweight vehicles towed anywhere in Maricopa county shouldn’t be hard at all. With just a phone call, Central Towing will send our people to anywhere you are. We are ready to respond to towing requests 24/7. This is a promise that we have continuously fulfilled through the years. As an owner of a lightweight vehicle who regularly travels through the highways of Maricopa County, it is your duty to be ready for roadside emergencies. Save the contact numbers of Central Towing on your phone today and have a good level of peace of mind every time you go out on the road. Enjoy easy access to reliable lightweight vehicle towing services! 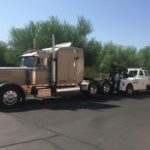 Why You Should Choose Central Towing?